Circle the wagons a phrase many of us know. It usually means to protect your caravan by using the wagons as a shield. Now a days we have a huge issue and its closing in on us. I’m sure that everyone who reads this article has gone through the famous “death threats” from keyboard warriors. Who refuse to just listen and learn more about our way of life. Instead they attack us or worse they threaten our children. I don’t know about the rest of you mommas but you don’t mess with my kids! Say all you want to me personally but there is a line that should never be crossed. As of late it is being crossed way to often. Social media has it’s perks. For one we have been able to come together as fellow hunters and huntresses. Showing our support for one another. By encouraging, educating and listening to one another. Recently a Colorado mom LEGALLY harvested a cougar and an uproar began. She was on the news, and threatened on a anti-hunting group. It was amazing to see how everyone circled the wagons around her and kept cheering her on. However the mighty keyboard warriors have not backed off of her and her family. She took a cougar legally she followed all the rules. Another example from awhile back, Lauren Hull a taxidermist in Oregon. 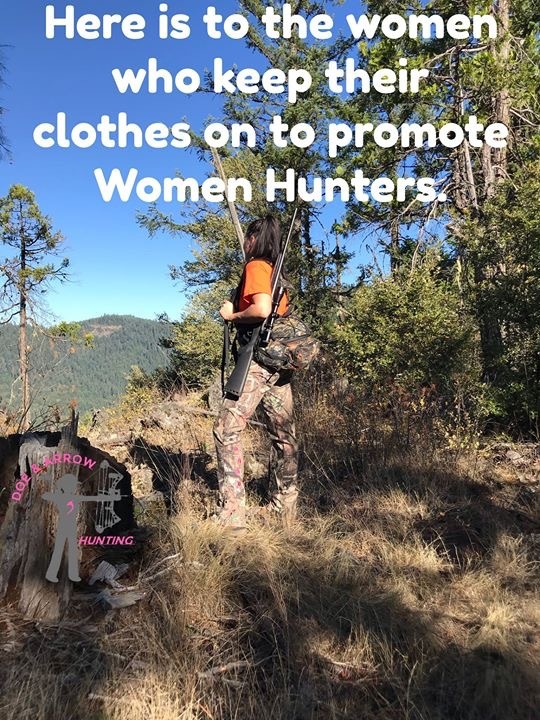 Share a great point after she posted a picture of an evasive species dove that she hunts with one of her online attackers names on it. “I do feel 2% bad for tying someone’s name to the dove to make my point but I feel that it is time that we start teaching the anti hunter crazies that their threats and insults will not go without consequence! 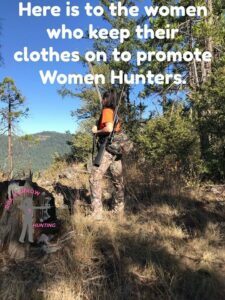 About a week ago one of these anti’s posted on Eva Shockey’s page that they hoped her baby would die, all because she is a hunter! I used to just ignore all of their comments but now I feel it’s getting out of hand and collectively we should take action! If they would slow their crazy down for a minute and do some research they would realize that WE pay to maintain wildlife and their habitats. Every gun, bullet, hunting license and permit gets taxed and put towards public forests, land conservation, wildlife management areas, wetlands, etc. But you can’t tell the anti’s this. Either they don’t get it or won’t listen. So sometimes you have to speak their language and smoke a bird. Kari Singleton owner and founder of Doe and Arrow Hunting has been threatened by PETA and other anti hunters. We have been harassed on our page by followers. At Doe and Arrow we do our best to answer questions and educate but we have zero tolerance for this bullying nonsense. We were told we are prude old women because we refuse to use our bodies to advertise. We ask for respectful communication on our page. When did morals and modesty become so hated? We want to grow as a company for our knowledge and experiences. How big our buck racks are, not our swimsuit racks. Something as small as modesty we became bullied over. With the more social media is used and the more we post we understand we will be harassed by those that do not understand how conservation and hunting works. That is why we offer articles and opinions on knowledge. Don’t know something? 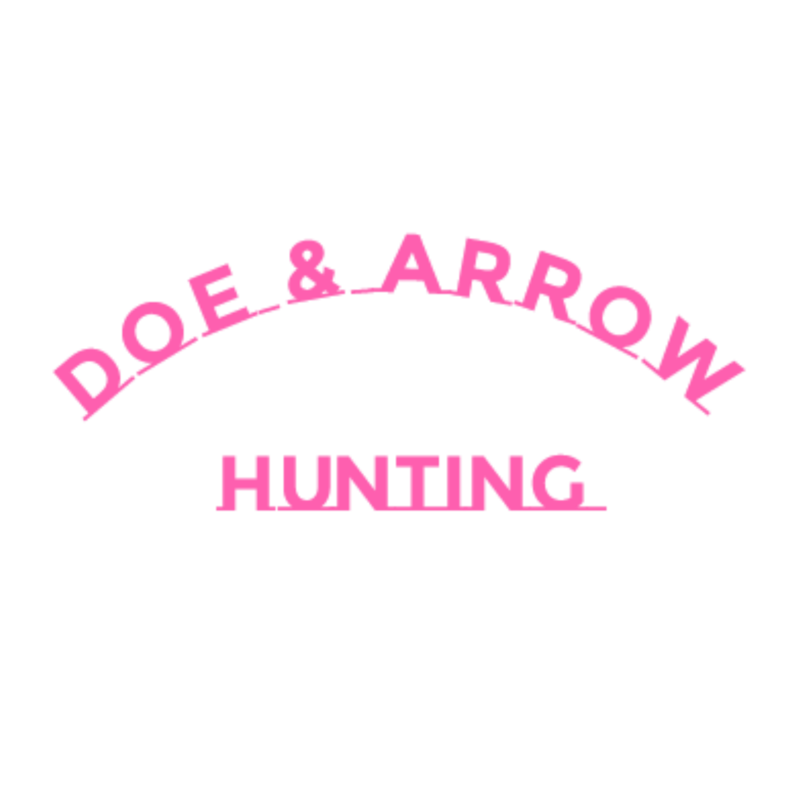 Ask us we love to visit about hunting and the outdoors. Recently I asked permission in our area to hunt on land that had an abundance of turkeys so that we could help remove some of their problem. I had multiple people tell me that its illegal to shoot in a neighborhood and that the bullets can ricochet into a home. That we have very strict rules for turkey hunting. I had to explain multiple times that I wasn’t asking permission to shoot one off the front porch. As I typed out more messages I realized I was losing ground because they had already closed their eyes and ears to what I had to say. I tried to explain I am not shooting a turkey with a high powered rifle. I found myself deleting the post because I got tired of explaining that I am a licensed hunter that have read my regulations and that I have the proper weapon to remove said turkeys. But o’well onward we go. I really believe lack of education and experience in the woods has led us down a concrete path of uneducated keyboard warriors that only want to bully us into not doing what we love. Please don’t get me wrong! I respect people that are just not into hunting or are vegans. All I ask is respect in return. It is possible to agree to disagree without the hateful words and threats. To be adults in the difference in opinions. We would be honored to circle our wagons around other hunters going through rough times. Especially those that are beginners. Don’t quit doing what you love. Don’t ever quit providing healthy meat for your family. Many of us will go through bullying but how do we handle it? Many of us choose to calmly educate and inform. If that approach doesn’t work we can block the people harassing us and ignore them. Sometimes we have to try a different approach. There is a time and place to stand together and circle the wagons. I feel that lately even our own states are bullying us by regulating our firearms. Many are raising the fees of our licenses, and tags. I really believe it’s time to stand together.